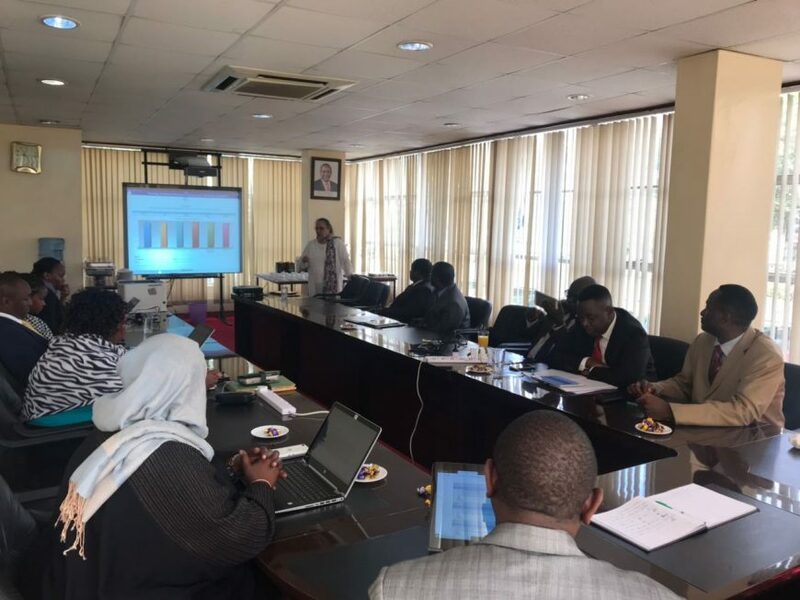 National Environment Management Authority (NEMA) Board of Directors were recently trained on using board assessment tool, eHorizon eBoard Evaluations to appraise board performance. The training that took place at NEMA head office was facilitated by Software Technologies Ltd. Chief Executive, Jyoti Mukherjee. eHorizon eBoard Evaluation is a board assessment tool developed by a global governance leader Software Technologies to keep directors and committees on track, compliant and continually focused on improving performance. It combines intuitive questionnaire design i.e. 360 degrees appraisal from bottom-up, peer-to-peer and self-evaluation – with automatic real-time reporting. Since 2016, eHorizon eBoard has been a convenient alternative to cumbersome online surveys and spreadsheets or paying outsourced consultants for NEMA’s entire Board and its committee’s evaluations. “NEMA Directors are happier as they can contribute their insights and perspectives to board self-assessments from anywhere in the world, any time of day or night at a click of a button. On the other hand, eBoard eliminates the frustration of using such as online surveys and excel reports or having Directors fill in lengthy forms which take board administrators days to compile,” explains Jaswinder Gahir, Head of Saas Implementation at Software Technologies Ltd.
Assessment of board performance is now used widely in both the private sector and public sector. Potential benefits, that accrue to the organization, board and individual directors, are improved leadership, decision making, clarity of roles and duties, teamwork, and accountability (Kiel and Nicholson 2003). Evaluation of performance can also help a board to operate more efficiently, reduce risks, enhance the reputations of members and organizations and provide protection to members in the face of legal challenges. It’s also a timely reminder for ensuring continuing alignment of the competency profile of a board to changing needs. eHorizon eBoard is a board portal that automates and manages every aspect of your board; from minutes and agendas through to Director’s evaluation together with risk and compliance monitoring across your organization. Over 3,500 Directors in Africa and the Middle East are using eHorizon eBoard to drive board effi¬ciency; whilst addressing uncertainties surrounding compliance.